Are West Ham sleepwalking to disaster as indecision rules the day? Having apparently received an overwhelming Vote of Procrastination from the West Ham Board it now looks like manager Slaven Bilic is effectively on a one day at a time rolling contract to save his job. If reports are to be believed he has until the next international break to prove his mettle as the man to take the club forward; or at least until his contract expires – unless, that is, we lose to Huddersfield in which case he could be straight out of the door. It is interesting to consider for a moment what would constitute a successful return from those next four games (at home to Huddersfield, Tottenham and Swansea and away to West Brom). Would a couple of wins giving us six points from seven games be enough to appease the doubters or are our sights no more ambitious these days than getting carried away by victory over Tottenham? The notion that a manager, who has struggled to organise, prepare and motivate a squad for the last eighteen months, will be able to turn things around over the course of a month has a sense of wide-eyed wishful thinking about it. Perhaps the Board see it as loyalty but it looks more like recklessness to me. I can’t believe, as some have suggested, that they “don’t have the balls” to sack him as nobody becomes a multi-millionaire businessman without making difficult decisions. Surely they must have learned something from the Avram Grant episode. The uncertainty also casts a shadow over the remaining days of the transfer window as a move to the London Stadium becoming an even less attractive option than it was before. We are unlikely to hear a player telling us how he was unsure about the move until he was convinced by the manager’s vision for the club; not with Slaven’s current dejected air of calamity. Furthermore would the Owners, prudent with their money at the best of times, be inclined to back the manager’s judgement to any sizeable degree given his recent track record and our current predicament? A consequence of having a confused game plan/ style of play is that it makes buying players to suit it very difficult. Maybe Slaven does have an idea somewhere in his head but it has clearly not been communicated to the players. The game is not simply about announcing a formation but how those relevant parts interact with each other; full backs supporting attacks, central defenders covering for full-backs, defensive midfielders slotting into defence to fill gaps, wide midfielders tracking back to assist full backs, attacking midfielders supporting the striker. These things are not learned on a white board but must be drilled into players over and over again on the training ground. I see no evidence of this having taken place with our set of strangers. Bilic has said that the club will not be buying more players for the sake of it but I wonder if he really knows what is wanted. Previously it has been said that the club were not looking for defenders or midfield players; but then that all changed with the apparent pursuit of William Carvalho. It seems very obvious to most that pace and athleticism in central midfield and defence should be at the top of the priorities if we are to compete. Without that the struggles are set to continue. For me the jury is still out on the success or otherwise of our transfer dealings to date. Hart and Zabaleta have yet to cover themselves in glory, Arnautovic has only confirmed that he may be the moody individual that everyone predicted he would be, and Hernandez, although definitely a class act, will find it tough to prosper in the role of unsupported isolated lone striker. The club’s transfer business has been presented to us as a pragmatic purchase of proven Premier League performers (but then so were Ayew, Fonte and Snodgrass) when in fact it is no more than a short term survival strategy. Any idea that a new bigger stadium, by itself, was the gateway to success is now clearly an old man’s pipe-dream. 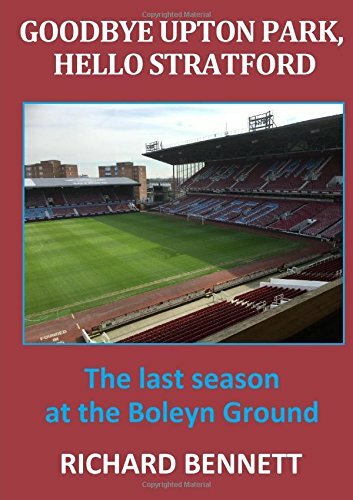 The long established amateurish West Ham ways need urgent reform or we can never fit the apparent ambition of the surroundings; and will end up as just another Sunderland. With our current set up we fit in the top echelons of Premier League football about as well as the Clampetts did when moving into Beverley Hills (if anyone remembers that). Perhaps that should be the Pudding Mill-billies! If I ever come across a genie who grants me three wishes for West Ham they would be: a progressive and disciplined manager, a proper football person to sit between the Board and manager; and investment in fit-for-purpose training facilities. Without these improvements our seasons will be stuck on repeat for ever. Reading a lot of WHUFC opinion and news as an insane, and perhaps inane, Iron. Geoff’s article is outstanding. Lively, balanced, analytical no less, and mindful; a real treat after trawling the litany of rant and hyperbole that makes up a lot of social media. I’ve relished the quality insights and the unmuddled reasoning of the WHUFC situation, minus cliche or rant. We cannot ‘know’ why WHUFC as a club is profoundly or fundamentally flawed, only that it is, and the symptoms are self-evident. We can only conjecture based on careful consideration. Geoff shows us how in his article. One thing I have come to discern by trawling the rant – as well as discovering gems like this one from Geoff – is the difference between my feelings about the ‘team’ on the one hand, and about the ‘club’ as a capitalist business enterprise on the other. My love of the team given my identity as an Iron is undaunted; my feelings for the ‘club’ as a business entity are wholly ambivalent. The decision to extend Slav’s stay of execution is the ‘claret mile’: a managerial death row. We need pace across the team, we need quality central defenders: whatever the complex reasons at ‘club’ level, and they are many, Slaven as coach has failed to address the urgent needs of this ‘team’. Next Next post: Bilic out or Bilic in? Where do the fans stand?